Take a look at some easy and efficient ways to store your family’s bikes that will reduce the risk of accidents and give you back some more of your floor space. When you’re looking for simple and low-cost ways to store your family’s bikes, you can’t go wrong with hanging them from the ceiling. There are several ways to do this, but perhaps the easiest is to simply install a row of bicycle hooks on the ceiling and hang each bike from a hook by its tire. While this solution is easy and affordable, it does come with one drawback; every time you want to ride a bike, you’ll have to retrieve the bike from the ceiling. That may not be difficult for you, but if you have children, they may find it difficult to access their bikes by themselves. If you want them to be able to access their bikes without your help, you may want to consider an alternative solution. If you don’t have enough floor or ceiling space for your bikes, one way to go is to leverage your wall space. You can purchase bicycle mounts that attach to the wall, allowing you to park your bikes in a vertical position. Not only is this a convenient way to get the bikes off the floor and out of the way, but it also means that you can position the bikes so that they’re easy for anyone to reach. Another benefit of some wall mounts is that they’re compatible with U locks. That means that if you’re worried about security, you can make sure that your bikes won’t be easily stolen. Wall mounts and U locks may cost a little more than ceiling hooks and take a little more work to install, but the benefits might be worth the extra cost and energy. Some people install car lifts in their garages to create more space and store additional vehicles. A car lift might not be right for your garage, but a smaller bike lift may be just what you’ve been looking for. An electric lift gives you a platform that can hold several standing bikes at one time, and it allows you to easily raise and lower the platform with a control panel or a remote. 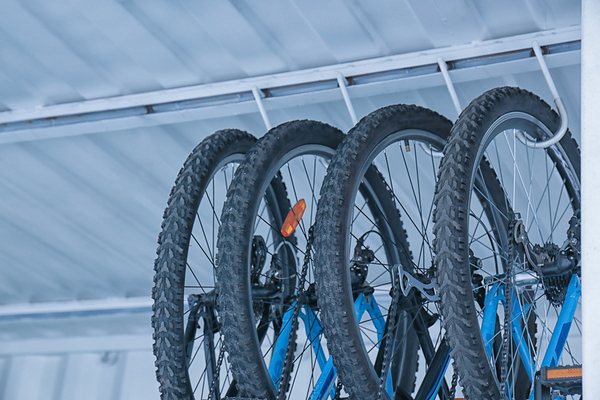 A lift makes it easy for anyone to store and retrieve their bikes as needed, and it’s a great addition to the garage for people who enjoy technology. However, an electric bike lift may be pricey and might require professional installation. 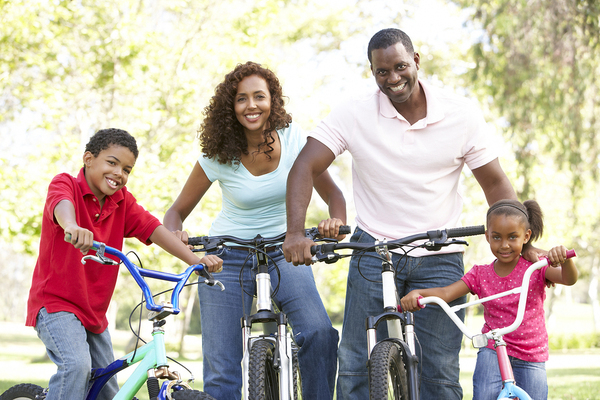 The right bicycle solution depends on your family’s needs and preferences, but with so many different choices, you're sure to find the right option for you. For more helpful ideas about garage organization, contact us.